Part One of this discography documents János Sebestyén's Hungaroton recordings. These recordings span most of his career, from 1958 through 2002. The early LPs were published under the Qualiton imprint until 1968 and received widespread distribution – many are easily found today. Sebestyén's entire output for the label, including material never published on CD, is now available for download. Links to the appropriate download page can be found in the entry for each recording. Part Two of this discography documents János Sebestyén's recordings for various labels, including Angelicum, BAM, CBS Italiana, Naxos and Vox. Many of these recordings were the result of his friendship with Thomas Gallia, an early colleague at the Hungarian Radio who later became director of the Angelicum Studio in Milan. Their first collaboration in Italy dates from 1963. Through Gallia's production company Sonart, they recorded dozens of LPs – the best known being those for their Hungarian compatriot George Mendelssohn, founder of the Vox label. 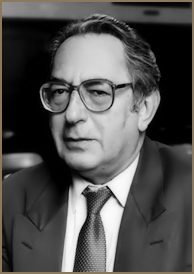 János Sebestyén made his first studio recordings for the Hungarian Radio in 1957 and actively recorded there for the next thirty years. These recordings, representing some of his best work, combined the advantages of a studio setting with the intrinsic qualities of a live performance. Sebestyén also recorded in the studios of DDR Leipzig, NCRV Hilversum, ORF, RAI, Norsk Rikskringkasting, Suisse Romande, Sveriges Radio and WQXR New York.